"There are three things which I will never forget about America: the Rocky Mountains, Niagara Falls, and Amos n Andy." "So the door opened, and this fellow walked in. I was sittin at the piano, and I stopped and I turned around and looked at him and I says, Can I do something for you? and he says, Is your name Charlie Correll? Im Freeman Gosden. And that was the beginning of our getting together and our working together and weve been together ever since for fifty years. The greatest thing that ever happened to me in my life, him to walk in and say, I'm Freeman Gosden!" 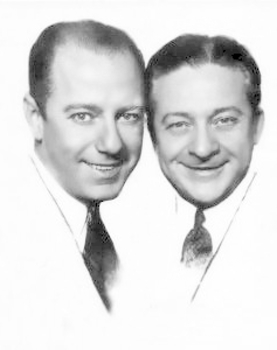 While still employed with the Bren Company, Gosden and Correll discovered that they had an unbeatable chemistry together, and so their partnership soon extended beyond their regular working hours to include stints on stage as both song-and-patter men and blackface artists blackface being a popular form of entertainment at the time. Their first radio appearance was in 1921 and, moving to Chicago four years later, they secured work over WLS as endmen for Bren's weekly minstrel broadcasts and over WEBH as song-and-patter artists -- where their whopping salary consisted solely of a free Blue Plate Dinner special. 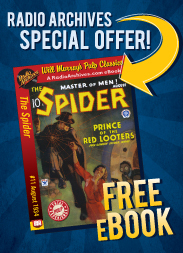 In the fall of 1925, the duo were hired by WGN, the Chicago Tribunes radio station, to perform on the air for the princely sum of $250.00 a week. WGNs station manager, Ben McCanna, liked Gosden and Correll but felt that their song-and-patter routines were in danger of getting stale. He suggested that they consider an idea he was tinkering with: a radio adaptation of "The Gumps", one of the Tribunes popular comic strips. Freeman and Charlie didn't have a good deal of familiarity with the family strip - both men were unmarried and had no children - and, instead, offered one of their own ideas: a radio serial about two black men, transported from the South, who came to the big city to seek their fame and fortune. Taking another popular strip, "Mutt and Jeff", as inspiration, the two men felt comfortable enough with their experience in dialect humor to effectively portray what eventually became known as "Sam 'n' Henry". WGN balked at the idea at first, but soon reconsidered, throwing Gosden and Correll on the air on January 12, 1926. Six weeks later, the show was a phenomenon, attracting such a large following in the Chicago area that the duo were soon making stage appearances in person as their fictional characters. WGN had a powerful transmitter, capable of broadcasting over great distances throughout the United States, but Gosden and Correll were even more ambitious: they wanted to expand the audience for "Sam 'n' Henry" by recording the programs in advance and sending the discs to other radio stations -- an innovation the two men dubbed a "chainless chain". What would eventually become standard practice in radio syndication did not sit well with the powers-that-be at WGN, however; the management maintained not only that they owned "Sam 'n' Henry", but also that there would be no further talk of that "chainless chain" nonsense. So, before their WGN contract expired, Freeman and Charlie talked with WGN's rival WMAQ about a possible move. Owned by the Chicago Daily News, the team found WMAQ much more receptive to the concept; the fact that WMAQ would be getting Gosden and Correll by basically stealing them from WGN probably didn't hurt matters, either. Given WGN's legal position, the two men couldn't take the "Sam n Henry" name with them...so they settled on a more alliterative title instead: Amos 'n' Andy. 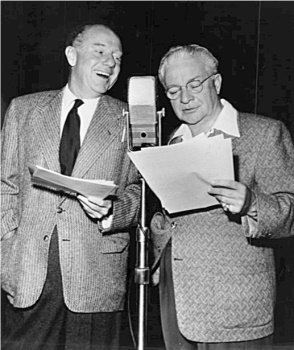 The success of "Amos 'n' Andy" over WMAQ soon attracted the attention of the National Broadcasting Company. Though experiencing some financial problems at the time, NBC was looking for prestigious and successful programs to air nationally and was anxious to sign Godsen and Correll to a long-term contract. Once signed, the Lord & Thomas advertising agency sold the program's sponsorship one of their biggest clients, Pepsodent toothpaste, and "Amos 'n' Andy" went national over NBC Blue on August 19, 1929...beginning a run that would continue on network radio, in one form or another, for the next thirty years. Throughout much of its radio history, "Amos 'n' Andy" was broadcast in a five-day-a-week quarter-hour serial format. However, in the fall of 1943, due to a slow decline in the ratings, Gosden and Correll revamped the show into a half-hour weekly situation comedy. Concerned about the quality of the new version (and also in maintaining the quality of his performances) Correll had most of the programs of the new series recorded on 16" transcription discs for his personal library. In the 1970s, Correll had the programs professionally transferred from discs to top quality 1/2" tape -- but explicitly requested that the commercials for Rinso, by then the shows sponsor, be edited out at the same time. Thus, though the programs in this collection may be commercial-free, they're all taken right from Charlie Correll's own transcription collection. The audio fidelity of these shows is astounding - in fact, they sound far better than when they were first heard over NBC in 1943 and 1944 - and have been painstakingly restored for your enjoyment.